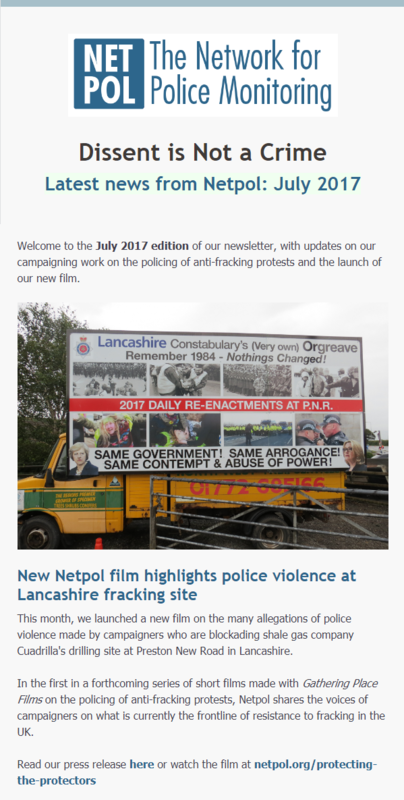 Today, Netpol supporters received our July 2017 newsletter in their email in-boxes. It is now also available online here. If you would like to receive future email updates, sign up to Netpol’s ‘announcements’ list here. 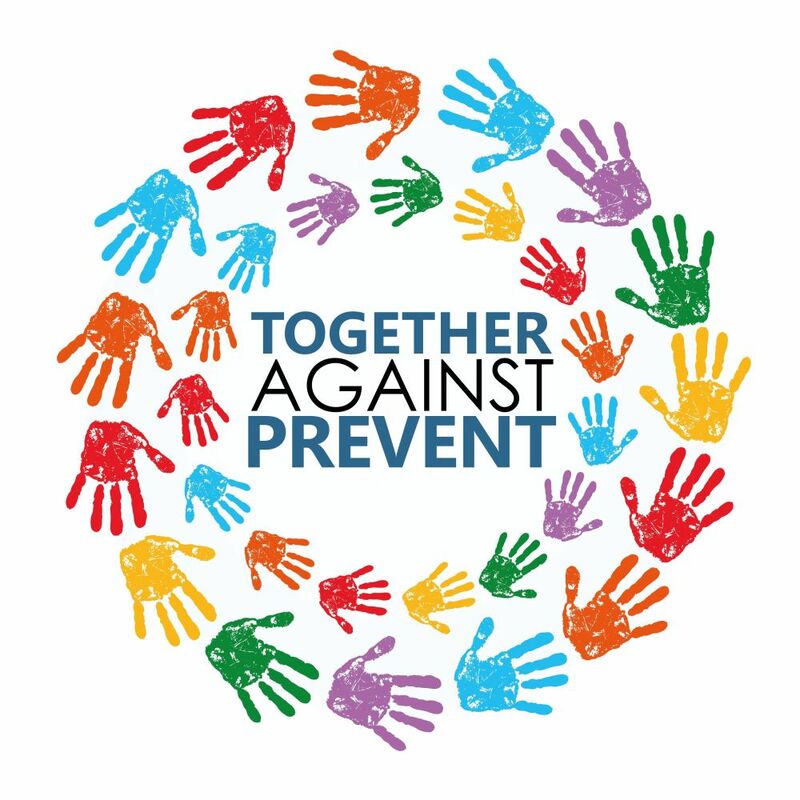 We would also like to ask for your help: if you think the work we undertake is important and worth supporting, could you help by making a small monthly donation to support us? 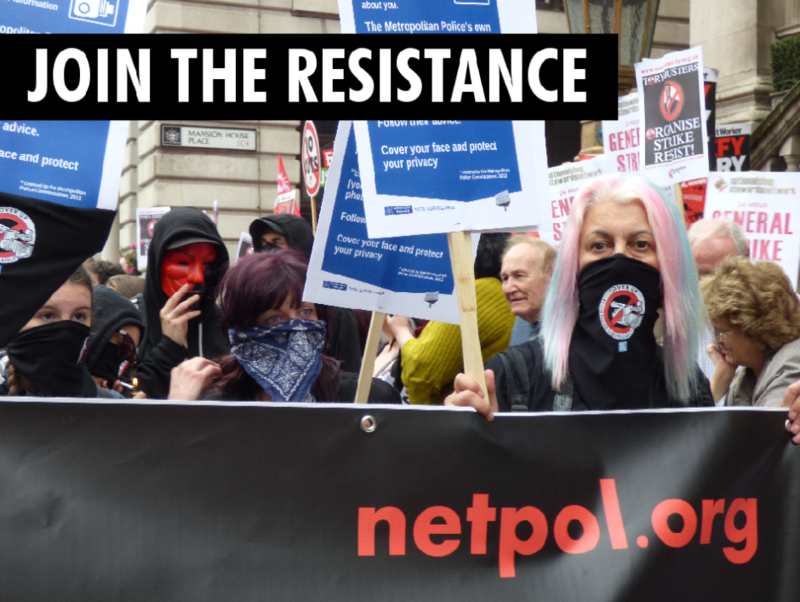 Please consider signing up to our new Netpol Supporters programme and help to influence our campaigning priorities over the coming year. Everyone who signs up will receive a welcome pack from us, which includes stickers and one of our exclusive “Alleged Domestic Extremist” badges.